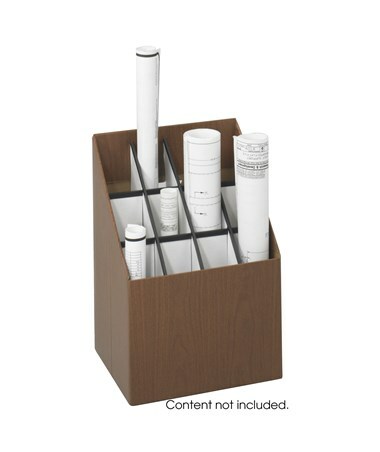 The Safco Upright Roll File is a space-saving and lightweight unit for storing blueprints, maps, and other large files. Measuring only 15 inches wide, 12 inches deep, and 22 inches high, this roll file fits into any spare space. The 12-compartment type accommodates 3-7/8-inch diameter roll files, while the 20-compartment type fits 2-3/4-inch diameter documents. Each compartment has a square tube opening and is reinforced with plastic molding. 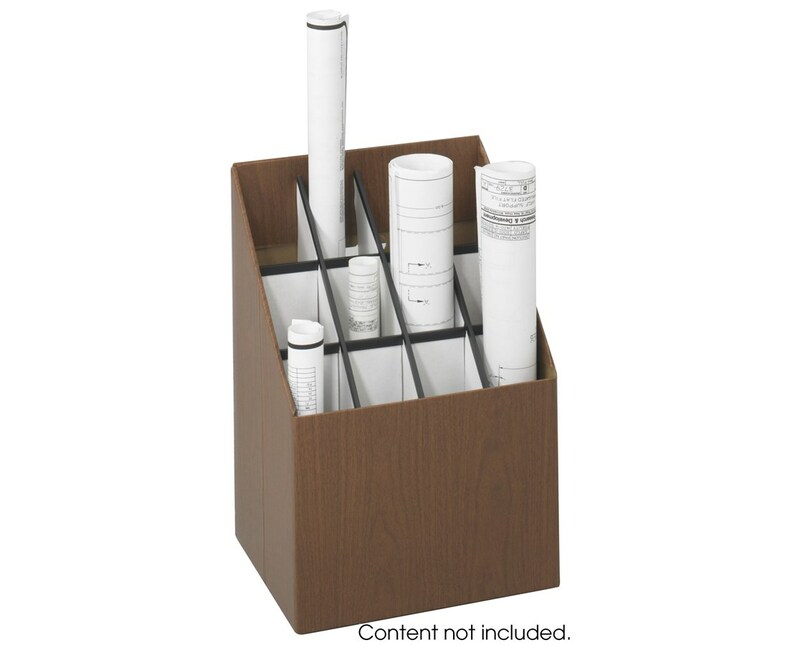 This roll file storage unit is made of corrugated fiberboard and 100 percent post-consumer recycled materials. It has a walnut wood grain finish for a style and durability. It is safe for indoor use and does not emit harmful chemicals as certified by GREENGUARD. 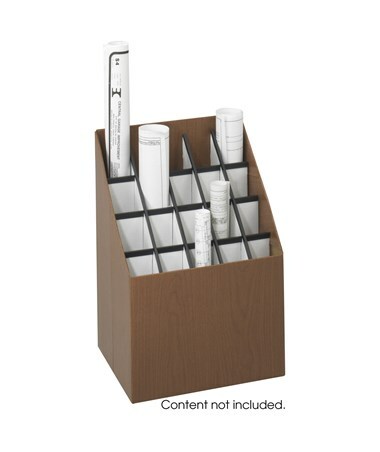 The Safco Upright Roll File has an option of two-compartments. Please select your preference from the drop-down list above.